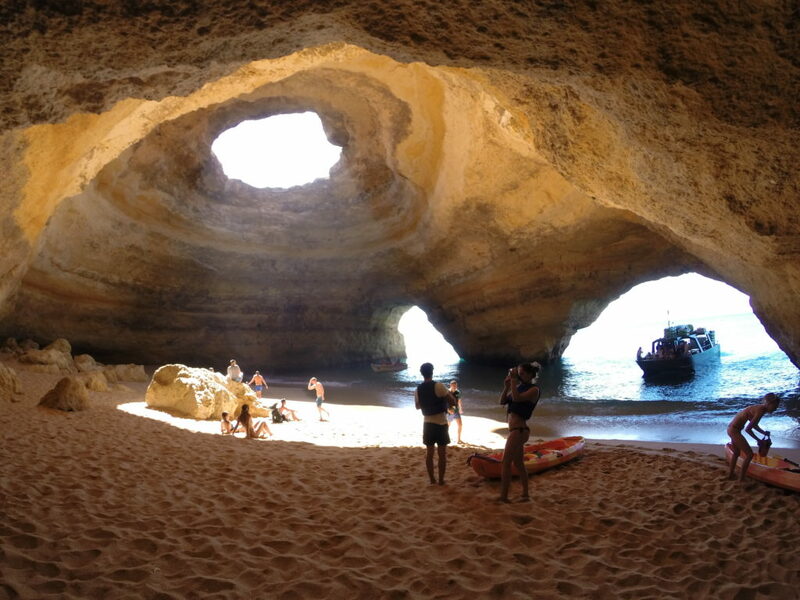 At peak summer the Benagil grotto is filled with many swimmers. 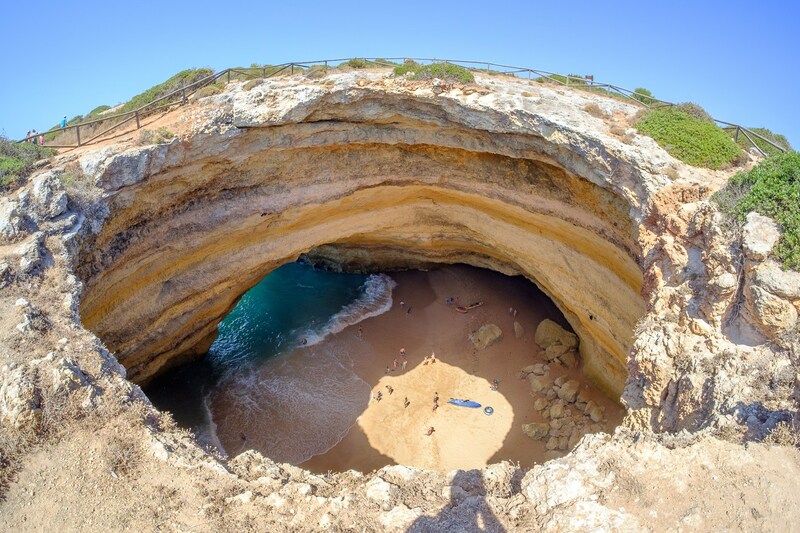 You can walk on top of the Benagil cave and see its hidden beach from the hole. 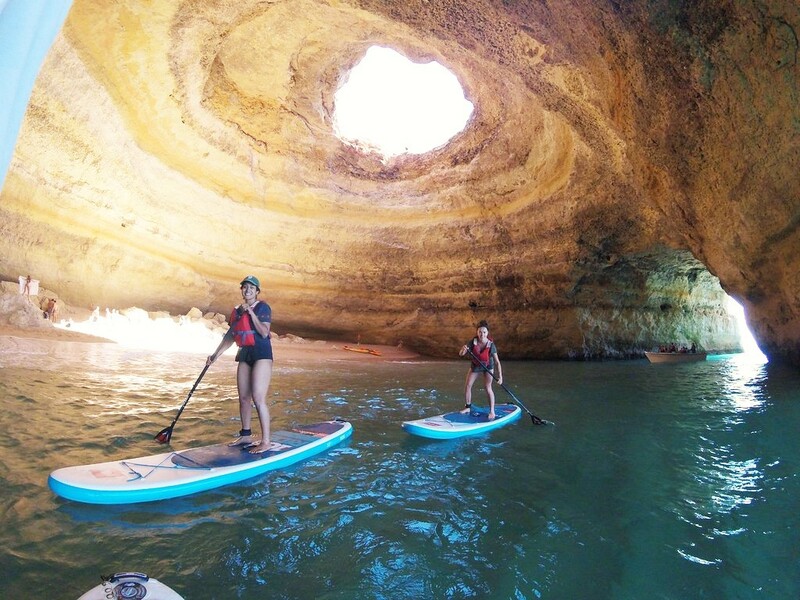 This kind of open sea cave is called Algar.